These days I’m trumpeting a battle-cry to bring back church growth. We shouldn’t blush at it; we should be bold for it. But I also assert that the assumptions of church growth as we know it lead down a dead end. Instead, we need real church growth. In our era of cultural wildfires, technology tsunamis, and attendance landslides, I’m comforted that this is not a new problem. All the way back in the first century believers got confused about what church growth really is. When church leaders think about church growth, our default setting is to measure growth in program attendance, especially weekend worship. If we’re a little more advanced, we might measure baptisms. The church at Corinth measured the same things. Look at how we’ve all been baptized, Paul, they said with confidence. Look how we’re showing up to take the Lord’s Supper (in other words, weekly worship attendance). Paul’s reply? Big deal. The ancient Israelites “all were baptized into Moses in the cloud and in the sea,” he replied. “They all ate the same spiritual food [manna] and all drank the same spiritual drink. For they drank from a spiritual rock that followed them” (1 Cor. 10:2-4 CSB). But how much good did their baptism and attendance do them? Not a lot. “God was not pleased with most of them, since they were struck down in the wilderness” (v. 5). Paul said that the saga of the ancient Israelites “took place as examples for us” (v. 6). We have to learn the lesson that God measures his people by their production, not their participation. I’m talking about fruitfulness. I mean the faithful character exhibited by holy people, the kingdom-service they perform, and the disciples they make. Let me ask you a critical question. Is it possible for someone to go to your church for ten years, participate in everything the church has to offer, and NOT grow with Jesus? You see how important this is? 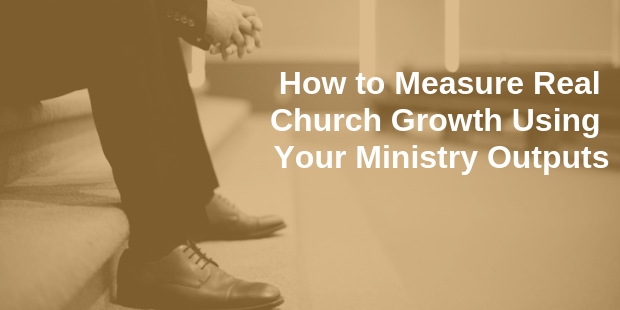 Real church growth demands that we go beyond measuring participation to measuring production—beyond measuring ministry inputs to measuring ministry outputs. Think of all your church’s activities put together as your “ministry model.” It’s your disciple-making engine. 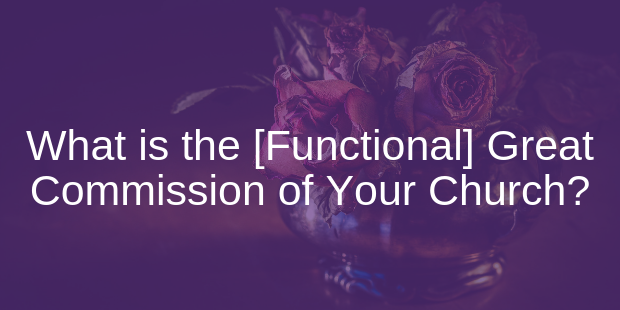 Measuring inputs means measuring what you dump into the intake funnel of your ministry machine—namely, people. This is almost all that leaders commonly measure, the biggest reason being that attenders are pretty easy to count. For most leaders today, charting attendance is less fun than ever. Not only are fewer people nationwide attending church, but more people are attending less frequently. So alarmed voices are proposing we stop caring about attendance and start caring about “engagement.” But what do we really mean by “engagement”? Unfortunately, for many leaders “engagement” simply means counting how many attenders also go to a small group, how many serve as a volunteer, or how many give money to the church. In other words, we’re just going from measuring ministry inputs to measuring throughputs: how far people make it through the bowels of the ministry machine. But what’s coming out the back end of the machine? How are the people poured into the hopper on the front end of your programs being changed by them? Is your ministry model built to change anyone at all? Let me give you an example of what I mean by ministry outputs. We can all agree that genuine biblical community is something God wants to see in his people. So how will you measure that? 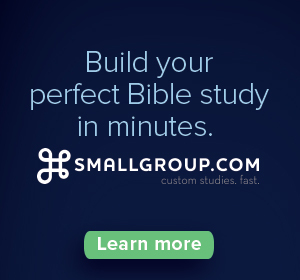 You could ask people, “Are you in a small group?” That’s an input or throughput question. But instead, you could ask, “How many ‘2 AM friends’ do you have?” That’s an output question. It’s a result that we want a mechanism like small groups to produce. See? The question you ask makes all the difference to the answer you get. “2 AM friends” is an example of real “engagement”—not just people’s engagement with the church program apparatus, but engagement with each other in the most sensitive spaces of life. 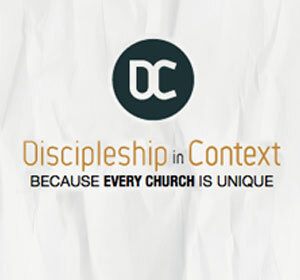 But imagine if we shifted our focus to discipleship outputs. Imagine if we measured not just the number of people engaged in our weekend services but the number of people engaged with the Bible every day. Imagine if we measured not just the number of baptisms but the number of believers who influence people who end up getting baptized. When we focus on outputs, we focus on the value we pour into people. And when the church provides value, attendance tends to take care of itself. I realize that this raises all kinds of questions about how to measure outputs. One of the most important things we do at Auxano is to help churches define their disciple-making outcomes. Then we teach them how to capture the wealth of data of this kind sitting in their churches right now. Finally, we help them do something with what they learn. Paul told the Corinthians that there’s really only person who can say auxano: it’s “God who gives the growth” (1 Cor. 3:7). So what does God want his harvest in your church to look like? 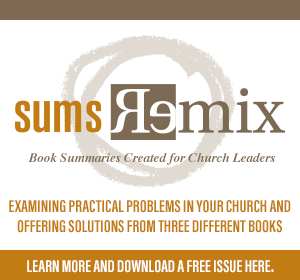 Is Your Church Concerned About and Measuring the Right Things? Will Mancini, founder of Auxano and Younique, writes about the importance of leadership stories here. He believes that storytelling and understanding the nuances of story will help leaders in the daily ebb and flow of communication. 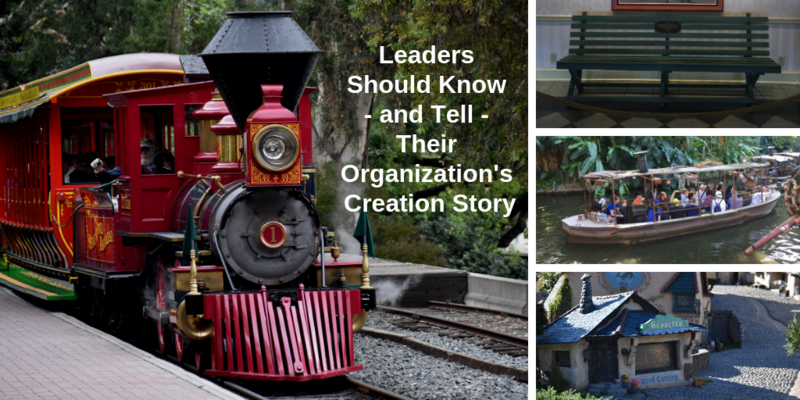 The first, appropriately, is your organization’s creation story. As a leader, you should know more about the creation story of your organization than anyone on the planet. What are the circumstances—passions, problems, and people—surrounding how the organization got started to begin with? Mastering the richness of the creation story will help in two major ways. First, it will hold insight into the unique culture of the organization and therefore future decision-making and vision. Second, your mastery of the story itself will bring tremendous credibility with people when initiating change. With a passion of Disney history, I’m always grateful to visit Disney properties and immerse myself in the stories and culture of Walt Disney and the “kingdom” he began. During a recent multi-day visit to California, I had the opportunity to visit Disneyland several days, experiencing both the familiar and new perspectives. It was Walt Disney’s fascination with trains, beginning as a boy, that led him to first create a scale model railroad in his backyard. Not satisfied, he begin to develop an ever-growing park that would include a railroad. When Disneyland opened in 1955, the first object you saw approaching the park was a train station, and a 5/8 scale railroad encircled the park. Saturday’s were “Daddy’s Day,” and Walt often took his daughters to play in nearby parks. While sitting on a bench in Griffith Park, Walt imagined what a park would look like that would allow both parents and children to be immersed in a story-rich, safe, clean park. Fascinated by miniatures, Walt began a hobby of crafting extremely detailed miniature items, building entire rooms filled with objects that were not only beautiful to look at, but fully functional. He envisioned a place to display these miniatures so that people from all over the country could enjoy them. By the late 1940’s-early 1950’s, Walt had grown tired of making animated pictures, and even his recent venture into live-action motion pictures left him dissatisfied. He imagined a place were people could actually be a part of a story, immersed in all the rich details that a “theme park” could provide. What is the true origin of Disneyland? I believe that all of the above contributed to the creation of Disneyland. And the common denominator of all of them? > What about your organization? 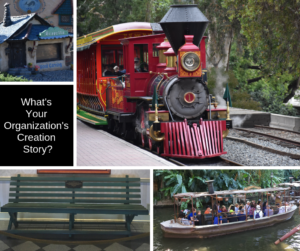 ACTION STEP: Write a one-page, 2-minute creation story talk. If you have any gaps in your knowledge, interview people in your organization until you know more than anyone else. > Read more by Bob. Cut the Complexity, Part One – Preparation Matters. Where Does True Fulfillment Come from in Ministry Leadership? Do You Have a Church of Abercrombie People? If you are following along with the #LifeDesignWithMe adventure over a 90-day period, this is a BIG POST. 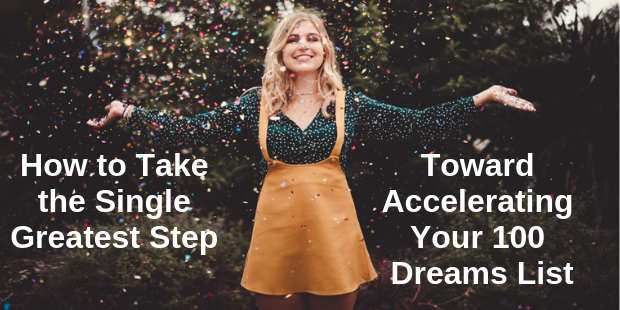 I want to show you the single greatest step toward accelerating your 100 Dreams List. If you are just jumping in now, be sure to review STEPS ONE and TWO, from my earlier post. Step three is all about using a simple tool that I call the Life Dreams List Worksheet (You guessed that didn’t you?) But you need to quickly learn two things about the worksheet. First, you need to know about this thing we call “storylines” at Younique. Second you need to learn the five kinds of aspirations that you can have in life. These are the two elements that create the 20 Boxes of Possibility. Storylines are the way we innovate off the idea of “life domains” that practically all life planning systems or intentional life models use. Life domains represent ways that people divide their life into categories like work, family, hobbies, etc. Luke 2:52, for example, records that Jesus grew in wisdom and status and in favor with God and men. This introduces a simple biblical model of the areas of life in which Jesus matured. “Wisdom” represents growing emotionally and intellectually. “Stature” conveys his physical growth. “Favor with God” reveals spiritual and relational development and “favor with men” represents the social and leadership dimensions of our Savior’s life. In Younique we survey other common domains and then we make an important pivot. (Which is why I won’t cover examples of domains in this post.) We pivot away from domains toward storylines. The primary reason is that domain thinking was developed when our lives were defined or limited by the environments we were in. For example, as a teenager, when my Dad was at his office, he was exclusively operating in a work domain. When he was home the same thing; he was at home. But in our current reality of technology and communication, it’s all too easy to lead a Fortune 500 company from your sofa at home or spend hours with your friends via technology even though you’re at the office. Clearly this new opportunity needs a more savvy way to think about our lives. Using storylines gives you a new freedom and personalization rather than having the same fixed domains for everyone. Think of the storylines as the four primary subplots or themes running through your life. If you binged watched the TV series of your life for the last year, how would you label those four themes? This kind of lens is much more dynamic than the old domains of yesteryear. They are more accessible and powerful when you can creatively develop them. For example my four storylines go by the names: Beloved Son, (my relationship with God) Central Circle, (my relationship with my family), Olympic Contribution (my vocational calling) and Epic Adventure (my recreation and social spheres). Again, the purpose of this post isn’t to explain the meaning behind these. How do you accelerate work on your 100 Dreams List? I want you to creatively think of your four storylines right now. How would you name the big narratives movements in your life? Why? Because its going to be ten times easier to get to 100 ideas on your life bucket list, when you have 4 different lists of 25! And best of all, it will help you make a much more well-rounded, God-honoring list. At the end of this post I will give you the Life Dreams List Worksheet. Your first step will be to either plug in the starter ideas (health, love, work and play) into your four storyline boxes OR to creatively name your own. You choose. Again, I don’t want you to get hung up, because the point is getting on with you list. Now on to the next element that creates the 20 Boxes of Possibility– the five kinds of aspirations. What are the Five Kinds of Aspirations? Years ago I wrote a blog series on bucket listing. (Surprise, surprise!) I was inspired to encourage others while on a week long dream trip to Santorini Island. Out of that series came one of the most popular posts of the 600 I have written on this blog. If you want you can jump over to it, but I will summarize it below. Aspiration #1: A THING TO DO – The most basic bucket list item is an event or experience. These one-time deals don’t usually require training or even extraordinary expense. They just require planning and prioritizing. For example Dave Rhodes, my cofounder at Younique, finally went skydiving with some friends this year. Aspiration #2: A PLACE TO GO – Like my Santorini trip maybe you have always wanted take a special vacation. Perhaps its a crazy destination or some excellent adventure. Or maybe you want to do something simple like visiting every train trestle bridge in your county. Aspiration #3: A SKILL TO LEARN – I have found that most people want to learn something, but never take the time to learn. This thing could be a hobby or some kind of personal discipline. Years ago I took a 3-day watercoloring class with my wife Romy. I still have a long way to go, but some day I want to be a painter. Aspiration #4: AN OBJECTIVE TO ACHIEVE – Your goal may come in many forms: athletic, financial, professional, etc. Do you want to save your first $10,000 or make extra payments on your mortgage? Do you want to complete your first 5K or run your first Ironman? Aspiration #5: A POSSESSION TO OBTAIN – Maybe you have always wanted to have something really specific. It could be something you collect, rent, or own. A met a guy once who collected cigar-box guitars. Last week I was with a good friend who wants to own 10 rental properties by the time he is age 55. If you want to see a few more illustrations you can visit the original post on 5 Kinds of Aspirations to Design Your Life. Now that you are armed with the knowledge of storylines and the five kinds of aspirations, you are ready to jump into the worksheet. You are not going to believe how this will accelerate your life dreaming and list making! The worksheet is a simple matrix with your four storylines across the top and the five kinds of aspirations down the side. That makes a 20-box grid or matrix to use as a brainstorming tool. I call it the “20 Boxes of Possibility.” The PDF is a form that can be typed into directly if you like digital, or you can print a hard copy and fill in by hand. Here are some simple steps to use the worksheet which you can download below. By now you should have your first 10 ideas written down. Now you can reverse engineer these and place them on the worksheet. NOTE: This step reveals your first inclination with regard to storylines and kinds of life aspirations. Simply note what Boxes of Possibility you gravitated to at first. We will stretch your thinking from there. One big secret to making a gospel-centered Life Dream List is using the 20 Boxes of Possibility to literally explode new ideas for how to walk with Jesus and serve others while you pursue your interests and passions. The storylines help accomplish this step, as it invites you to think holistically about your life. For example, my current life design experiment is living and working 90 days in Aspen, Colorado. This trip was originally developed to help fulfill my Life Dream to snowboard 50 days in one season. Yet this initial idea (an objective to achieve) based on a sport I enjoy explodes with all kinds of meaning when I slow down and reflect. For example, I have enjoyed the opportunity to invest in my niece’s only opportunity in life to learn to ski. Hmmmm… how many other people might I invest in during my lifetime. 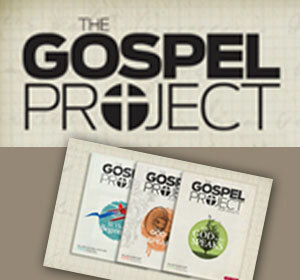 And what are the implications for the gospel? It’s this simple: Pray then reflect. Write then reflect. Talk about it and then reflect some more until you get to 35 ideas written down. Eat and sleep only if you must. The 35 ideas is a one-third-of-the-way milestone. It’s made up of the 10 ideas from your 10-10 List and your new 25 ideas from the Boxes of Possibility. > Read more from Will. My life’s greatest secret: I don’t work hard, I work focused. By introducing the simple power of a 90-day goal I am doing double duty with two current series. First, we are continuing to review the7 Essential Life Design Skills that I launched for the New Year. Second, I am encouraging folks to join me in a 90-day adventure of sorts by writing down 100 Life Dreams by this Easter. So I am inviting you to think about it and act on it in the same post! Let’s cover the 7 Essential Life Skills idea first: The 90-day goal is at the heart of Essential Life Design Skill #6, Achieve Your Next Goal: bring laser focus to the most important next step in your life, over and over again. Today I want to introduce you to this essential skill with the first-ever excerpt from the forthcoming book, Younique. Now if you have been following along with the #LifeDesignWithMe project (started 14 days ago) you already know that the 90-day window of life is very important to me. Over five years ago, when I put the toolbox together that is now the Younique Experience, a personal calling and life planning system for followers of Christ, one bedrock tool is the utilization of the 90-day season of success. Everything we do at Younique is built around a lifetime march in 90-day increments. That’s why I am in Aspen for 90-days fulfilling one of my most dramatic bucket list goals–to snowboard 50 days in one season. That’s the fun and playful part of the next 90 days for me, but its not the only part (I’ll post more on that later.) The point is that I want you to not only start thinking about 90-days, but to join me in accomplishing a 90-day goal for yourself: To write down your own Life Dreams List with 100 well-developed, take-it-serious life dreams before this Easter. Now back to the excerpt from my forthcoming book: Younique, Designing the Life God Dreamed for You. There is something about a 90-day period—approximately one quarter of a year—that is entwined deeply with the operating system of human beings. Ninety days is roughly the length of a season in temperate climes. It is about the length of a school semester and the span of the business quarter. Ninety days also has the intriguing characteristic of being just out of reach. It is far enough away from the here-and-now to imply a substantial journey but close enough that we can cross it with a solid burst. It is enough time for an individual to accomplish something truly significant. You would not believe what people can achieve in three months. A Moscow architectural firm will build you an environmentally friendly, 1,300-square-foot home within 90 days of order. Boot camp makes a recruit into a Marine in just under 90 days. Thru-hikers walk the Pacific Northwest Trail from the Continental Divide to the Pacific Ocean within 90 days. A human baby in utero is fully formed and can open and close its hands and mouth by 90 days after its conception. Blogger Maneesh Sethi developed and lived out a plan to become fluent in a new language (in his case, Italian) in 90 days. John Steinbeck wrote the first draft of The Grapes of Wrath in 90 days in 1938. In 2004-05, Frenchman Vincent Riou became the first to sail around the world in a monohull vessel, solo, in under 90 days. On July 8, 1914, the Boston Braves baseball club had a record of 29-40, dead last in the National League. Over the next 90 days they won a whopping 74% of their games to win the league pennant and eventually a World Series championship. Mozart composed two piano trios; a violin sonata; two piano sonatas, including his most famous; his last three symphonies, arguably his greatest; and three other pieces of music in 90 days in 1788. Four days ago, I kicked off the #LifeDesignWithMe 90-day adventure. The goal is to lift your life aspirations to the point that you can name literally 100 Life Dreams. That’s right—I know it sounds crazy. But I will show you how. And you will thank me later. Trust me, you’ll thank me later. The process of disciplined dreaming is not new to me. But I want to model a simple 10-10 List as if I am doing it for the first time. I got a job at a ski shop (the Ski Bum in Chadds Ford, PA) in high school to live the dream of opening a mountain biking department for the store. I thought It was my only way to afford my own bike, but my parents bought me one for my college graduation! Harvey Nowland invited me to preach at the Willowdale Chapel as a untrained college student. I was scared to death, but I did it. It was on the topic of eternal perspective. I completed a 5-year ThM from Dallas Seminary due to the gracious support of 4 individuals; the Tebo’s, the Vansant’s and my Uncle Tom and Aunt Diane. I followed God’s prompting to start an evangelist bible study in League City, TX and 10 neighborhood couples showed up. It was the most life-changing small group I led as a full-time pastor. I started my own consulting company at age 35, and it worked (Auxano). Several people inspired me to do this including, Howard Hendricks, Tom Haynes, Aldie Beard, Kevin McCarthy and Aubrey Malphurs. My mentor Aubrey Malphurs invited me to co-author a book with him (Building Leaders). That would change my life. I took my first 3 kids (now I have 4) on a week long snowboarding adventure every other year growing up after Jacob turned age nine. I spent a “dream week on the beach” with my Mom and Dad for their 50th wedding anniversary to celebrate their amazing love for one another and the godly heritage they passed on to our family. I want to take an art history course. I want to partner with a friend to do more real estate investments. I want to further activate my wife’s amazing capacity to “express compassion” through a third world ministry experience. I want to create an evangelism tool that uses the meaning of names to start spiritual conversations. I want to be painter some day. I want to remove every barrier to being with all of my children, their spouses and their children at the same time, one week per year. I want to regularly get 20 feet of air on kite board. I want to design my own super sustainable home that can go off-grid after I hit age 60. I want to start a church training center that trains 18 church leaders every week for 40 weeks a year. Alright, stop stalling. Quit dabbling. Please don’t settle any longer. Dreaming is free. Get started. Write your 10-10 List now. It took me 30 minutes and it moved me to tears. What are you waiting for? When you are finished send me a picture!!! 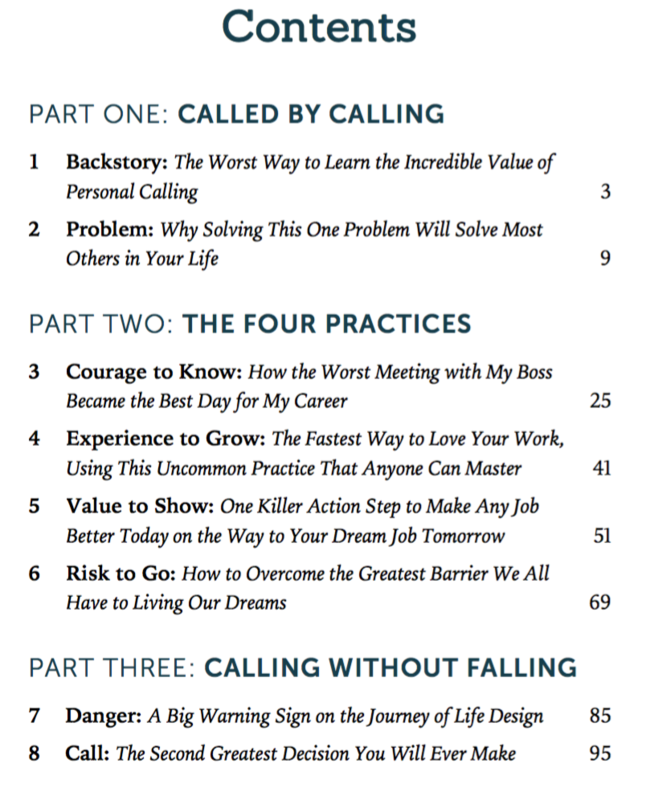 As promised in my last post, I am interrupting the series on the 7 Essential Life Design Skills so you can now download my new eBook about finding your one thing in life. This book covers four practices I have used and taught to find and align your vocational vision. The Clarity Spiral also happens to be the first master tool in a Personal Vision Journey offered through Life Younique– a training company that brings gospel-centered life design to people through certified coaches in the local church. I want to take this moment to thank you for being a blog reader. As always new content comes to you first. If you have already been through the Younique Experience, you will find totally new content in this book. If you are signed up to go through in 2019, these books will soon come with our kit. If you really like the book, you will be able to purchase a hard copy on Amazon soon. If you are interested in a Younique small group experience you can purchase the Younique 6-week Primary by Dave Rhodes here. Dave is the cofounder of Younique. I would love to learn a little more about you as you download the book so I have included some optional information like the decade you were born, and whether or not you work as a church staff. Again these are optional. Check out some of the chapters below!!! When does a human being peak? What is a person’s “succeed-by” date (as in, if you haven’t succeeded by now, forget it)? Some feel it when they’re 25 or so, when at a professional level athletes ascend, and dancers dazzle and beauty blooms. It’s where cool is concentrated in our youth-obsessed culture. It’s easy for ambitious people to believe that if they don’t get on a 30-under-30 list, they’ll never be a world-changer. Many feel the peak when they’re around 40. They’re performing at a high level because they have more wisdom and influence than they did in their 20s. The career is progressing nicely and family relationships are going relatively well. Some feel the peak—or hope to—around the time they retire, usually in their 60s. They want to leave their profession in a blaze of glory, full of achievement. With decent health and with personal wealth at an all-time high, they hope to live it up in their golden years. Courage to know – Do you seriously know yourself (really) or do you just think that you do? Experience to grow – Are you using every good and bad work experience to zero-in on what you can do best? Value to show – Are you proactively negotiating how you spend your time at work as the weeks and months of your “9-5 life” go by? Risk to go – Are you prepared to leave your current job when the time is right in order to steward of your one and only life? 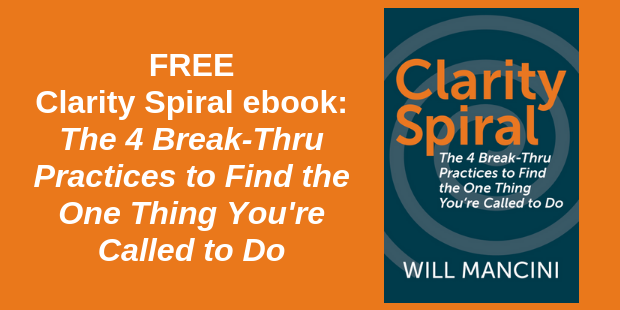 I talk all about these four practices in my new e-book that releases tomorrow —Clarity Spiral: The 4 Break-Thru Practices to Find the One Thing You’re Called to Do. 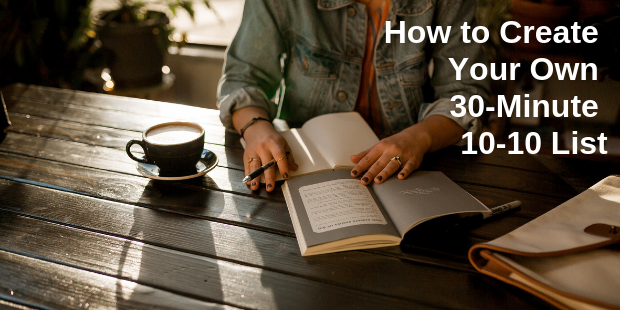 But in this post, I’m proposing that these four practices for finding your one thing become especially critical at three crossroads: quarterlife, midlife, and three-quarterlife. Take a moment and consider the crucial question that people must confront at each crossroad and a corresponding prescription. “Quarterlife crisis” labels a phenomenon that’s become almost universal among adults in their 20s. It’s a point in life where aimlessness not only plunges many into depression, but it also threatens to cut off the impact a person may have in the future. Some people at the quarterlife crisis spend their adolescent years rebelling against parents’ or teachers’ expectations. Others are busy just surviving their dangerous decisions. Yet when these people become adults, their lack of educational success limits their vocational options. Other people got the diploma or degree they were “supposed” to get. But they never really believed in a career path themselves, so now they’re prepared to do work they don’t care about. They might try to cope with purposelessness by living for the next pleasure (with diminishing returns) or by attempting to draw more meaning from a relationship than it can ever provide. No one prepares us for the decades’ worth of post-education revelations such as ‘dream jobs’ are pretty hard to come by (but by the way, unemployment isn’t), having a real job is not like an episode of Mad Men, and finding ‘the one’ is virtually impossible. Purposeful, productive activity could be a line of work, raising children, a place to serve, or all of the above. The critical thing is the ability to put up with the drudgery, weight of responsibility, lack of appreciation, and even your own mistakes as a part of the learning process to bring value to the world in general and the workplace world in particular. In his studies of ministry leaders’ vocational journeys, J. Robert Clinton found that the typical first few years after preparation for their vocation were “provisional ministry.” Clinton gave it that name because it wasn’t clear whether the person would stick with the ministry path or switch to a different career. For those who stuck with it, however, provisional ministry kicked off a 10- to 20-year period of learning to be competent and in some ways excellent at their vocation. The most important thing about this transition isn’t that you pick the perfect path in life. It’s that you pick some path in life. It doesn’t have to be the last one—in fact, it almost certainly won’t be. But it has to make you willing to devote yourself to getting good at something that does good in the world. That’s the way you find out what you’re good at (and not good at). Then it becomes the launchpad for your next leap. Fortunately, you don’t have to figure out a good path to take on your own. There’s help out there, which I’ll share at the end of this post. Many people are surprised that no matter how ardently they commit to a calling in their 20s, it doesn’t sustain them through their whole adulthood. In fact, by age 35 they may begin having serious doubts about it. Some people get unsettled because of success. Like a player who beats a video game, they’re bored playing it even though they’re good at it. What’s the new challenge that strikes the “sweet spot” of their personal calling? Other people get unsettled because of failure—or at least, they didn’t get as much success as they had hoped they would. Now they don’t get as much attention either; they’re no longer groomed as up-and-comers but are taken for granted as middle-and-stayers. Most people probably experience some combination of success and failure. They demonstrate proficiency in what they do, but the path to greater achievement gets a little harder to find. At midlife people look for a new way to activate and advance their personal calling. But now the stakes are much higher than they were at quarterlife. Loads of people hang on what you do or don’t do: workmates, customers, church members, volunteer organizations, friends, parents, and far above them all your children and spouse. And on top of your relational obligations, your financial obligations are much greater than they once were. Robert Clinton found that ministry leaders reach a point at midlife where they need to become more specialized to become more effective. In other words, to contribute more to the kingdom, leaders have to concentrate their efforts on the specific things they do best in the specific sphere and scope where they are most useful. However, getting into that zone isn’t easy! It often disrupts the life of the leader and those around them in a big way. Because it’s so risky, many—maybe even most—don’t take that path. They remain competent generalists, but they’re no longer growing in effectiveness; they might even start declining. By contrast, those who take the risks required of specialization find their impact increasing in ways they can hardly imagine. But to take that big step of faith, you need a strong conviction about the good works that God dreamed only you would do. Once again, fortunately, you don’t have to gain this conviction alone, as I’ll share below. People who navigate the midlife transition successfully find that it leads to a new challenge that they don’t expect. In fact, their very success may have set them up to stumble at this crucial point. Until roughly age 55, your fruitfulness is tied to your activity. If you took the necessary risks at midlife, your activity has probably been exceptionally productive. But as you approach the three-quarter mark of life, you become ever more aware that you won’t be doing stuff forever. Your faculties are deteriorating. It is more apparent in practical ways that someday you will die. Will the fruit of your labor disappear when you do? What legacy are you going to leave? Will you have borne “fruit that will last” (John 15:16 NIV)? Robert Clinton wrote about a leader’s accomplishment that sums up their ministry long after they’re gone. He called it “ultimate contribution.” Because ultimate contribution is about leaving a legacy, it almost always involves preparing people who will carry on your work when your time is done. That means shifting your focus from doing to developing, from mastery to mentoring. This transition can take different forms depending on your personality and gifting. It could mean evolving your leadership style toward collaborating and coaching and away from planning and directing. It could mean going full time in a job in the training or education field for the first time. It could mean concentrating your creative work on a magnum opus that younger generations will study. It could mean moving from “pro” to “caddie” by deliberately taking a new position as a loyal subordinate, such as a lead pastor who becomes an associate pastor or a parent who supportively assists their grown children as parents. These are all big-time moves that require as much willingness to change as the transitions you navigated at quarterlife and midlife. This is not easy, because as you age, the energy you have to allocate becomes more limited than ever. In most cases, you can’t do legacy-making activity unless you stop much of what you’ve been doing up to this point, which happens to be stuff you are very good at it and receive applause for. In fact, what you have been doing probably pays better. Therefore you have to determine the nature of your payday: is it a bigger paycheck at age 67 or a greater legacy? For the few people who even make it to this life-stage crisis, fewer still navigate it with great intention. But those who successfully navigate this crossroads make an impact that remains on this earth long after they stop working and even after they stop breathing. “They will still bear fruit in old age, healthy and green” (Ps. 92:14 CSB). The challenges at quarterlife, midlife, and three-quarterlife are all different. But in this respect they are the same: to overcome them, you need grow in clarity about your special calling from God. Younique was created to help people do just that. Younique equips people to know and name their life’s purpose, which is especially valuable at the quarterlife crossroads. Younique equips people to focus their calling and inspires them to take “risk to go,” which is especially valuable at the midlife crossroads. Younique equips people to discern and embrace their ultimate contribution to the world, which is especially valuable at the three-quarterlife crossroads. At the beginning of this post I asked, “When does a human being peak?” Depending on how you look at it, your strength starts declining at any of these crossroads. That’s just a part of this mortal life. But for a servant of God, that’s not the whole story. Your impact—your fruit—can increase your whole life long. You can even hit peak after you’ve left it for good! God will perpetuate your effectiveness from generation to generation if you follow his calling at every crossroads of your life. Don’t forget, my free e-book launches tomorrow! Cory Hartman contributed to this post. We’re just a few days into the New Year. With the odometer of life turning one more calendar-year digit, many people will think, hope, dream and plan about what’s next in life. What’s been on your mind? What are you hoping to do next in life? What goal or New Year’s resolution have you been pondering? Perhaps a better question is, “Do you have a plan to make a plan?” If you were to go about setting a few goals this next year, how would you spend your time? This is a pertinent question right now, because the time between early in the New Year lends itself to refection. That’s why this post jumps ahead to the fifth essential life design skill in the current series, God’s Plan for Your Life Plan. (This is the second post in the series that includes a free e-book giveaway for those that follow along.) The name of Life Design Skill #5 is “Imagine Your Better Future.” It’s all about thinking further ahead to where God is leading you and defining your life’s biggest wins. Again, now is a fantastic time to start practicing this skill. As you know, the intentional living product market is saturated with books, events, and online courses. It can be a bit intimidating to navigate a wide variety of different approaches and even philosophies. The purpose of this post is to introduce you to some of the basics that have been integrated in the complete life planning system called Life Younique. To start, I want to explain the basic barriers that all people experience when they set goals. There are five common common obstacles. People plan to do too much. Another way to say it is that people over-plan. They simply set too many goals or make too big of a to-do list. People don’t take enough time to plan. This second barrier is related to why people plan too much. It’s faster to make a list of 10 things to do than it is to make a list of the three most important things to do first. People hope for vague aspirations or outcomes. All human beings long for a better future. We all dream to some degree. But most folks don’t get vivid, precise or specific about what they want to do. This also requires time. It’s important to know that allowing yourself to be guided by only a “general sense” of the future is your greatest barrier to setting life goals or creating a life plan. Fuzzy is your enemy. People never write things down. There is something magic about writing down your life goals. It’s forces you to get specific and it enables ongoing attention and attentiveness. If fuzzy is your enemy, than focus is your friend. And writing is a key step in engaging your ability to focus. People don’t use a system. Ultimately when you succeed at setting and reaching a goal, you want to do it again. Goal setting done well is a repeatable process. And a good process brings a myriad of benefits based on the input and experience of others. And others, I might add, who have accomplished more than you. Given these barriers we can now assert the single most important step for setting life goals: Set aside enough time to plan well. How much time is enough? That is different for everyone, but I recommend that you spend an entire day. This can be a special day during a holiday or weekend that you set aside to enjoy. Or, you might make a retreat experience where you spend two half-days planning while doing other activities that you love. For example, I like to travel for a weekend away while giving myself two, 4-hour time slots to plan and set new goals for the year. During the other times I will ride my mountain bike, kite board, snowboard, go fishing or just read. 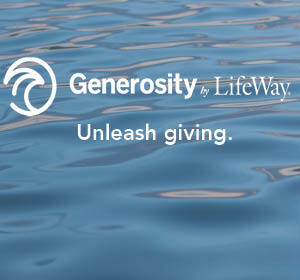 The most important aspect of designing this time is to make it life-giving. What place energizes you? What activities motivate you? Do you like curling up with a warm cup of hot chocolate on the sofa, or would you rather sit a picnic table in the woods? Do you write your goals in a leather-bound journal or with an apple pencil? Once you block the time on your calendar, you need to know how to spend it. To get started with that, you need to understand different kinds of goals. This topic is where the different approaches come in and can become confusing. So I want to give you an extremely practical and powerful way of understanding different types of goals. I am not talking about different life domains when I refer to different types of goals. A goal may be set in your work life (make 10% more this year) or in your social life (go on one date per week) or with a personal hobby (run a half marathon). I am referring to the time-frame and complexity related to different kinds of goals. Losing five pounds and learning to play the piano, for example, take different amounts of time, preparation and steps in order to complete. 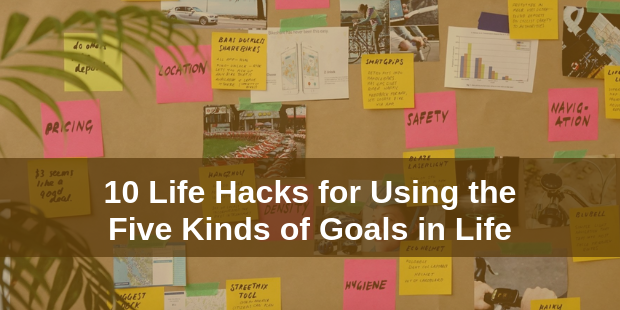 In fact, its the failure to understand different types of goals and the different time horizons that relate to them that make most goal setting processes a waste of time. When you survey all of the kinds of human accomplishment there are really five types of goals. Ultimate or Lifetime Aspiration Goals. These goals are those classic bucket-list kind of dreams. Many of these take a long time to prepare for or are things that you hope to do in different life stages. Generally speaking the will happen more than 3 years away. Included in this type of goal is the classic epitaph refection. What are you hoping that people will say about you at your funeral? What do you sense will be the ultimate contribution of your life? While this may sound “heavy,” I am a firm believer in the meaningful, imaginative work and planning on this level. It’s the ultimate horizon of “before you die” thinking. I wrote a blog post series years ago on how to develop your bucket list with lots of examples. I have also shared some insights from Steve Job’s life on how he used reflection on death to accomplish great things. Next Chapter or Life Prototype Goals. These are goals you set for roughly the next 3 years. They require reflection that is not common or immediate (hence the full day needed to plan). They relate to all of your life domains, so you will be thinking as much about your job as you are your family. This kind of goal setting engages your thinking about life stages, personal values, and deeper aspirations. These goals are crucial because so many people get stuck in ruts with their life, like the job that doesn’t challenge or that degree you didn’t finish. One Year or New Year Resolution Goals. These are the goals that define what you want different about your life as you take another lap around the sun. The most important aspect of this kind of goal setting is that you want to be able to accomplish the goal within a 12-month window. Examples include developing a financial plan this year, taking 4 camping trips with the family or finishing a job training certificate in the next 12 months. 90-Day or Sustained-Sprint Goals. This type of goal is very significant in the planning model that I have developed at Younique. A 90-day goal is just long enough to enable you get something really big accomplished. Yet it is short enough for an season of intense focus. That’s why I think of it as a “sustained-sprint” goal. Examples include, reading 5 books or saving 1,000 dollars or loosing 15 pounds in the next 90 days. Daily To-do or Weekly Task List Goals. This type of goal is the smallest and most bite-sized. Some people couldn’t go through life without creating lists every day while others resist this kind of short-term or daily planning. (After all God has wired human beings with an incredible variety of creative and productive capability.) I realize that in a post on setting life goals you are probably not thinking about this kind of goal. Yet, it is important to distinguish the mini-goals that make up our days and weeks and relate these to our bigger life goals. Examples include making calls to your top ten clients or purchasing everything you need for a work project at Home Depot. Once you have a good handle on the kinds of goals you have to work with, it’s now time to put the life planning puzzle together. The secret to creating a simple yet powerful life plan is to have the right kind of goals at the right amount of time in the future. I have personally spent a great deal of time learning, practicing and training others to optimize the recipe for human functioning. 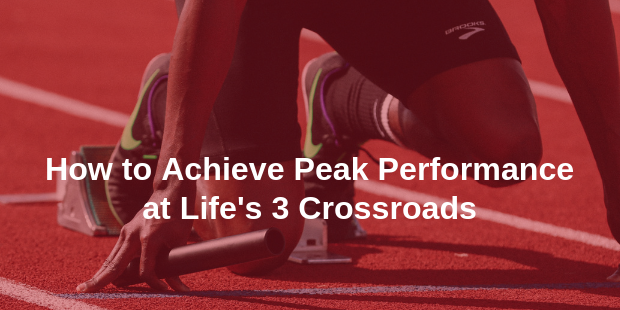 You will note how this recipe helps you navigate the five common obstacles to setting goals. The best way to work with the five types of goals is to employ these 10 guidelines. Create a “future context” by working on goals furthest away first. Develop a list of vivid description bullets for your life three years from now (Next Chapter Goals). Think of this as your next chapter “prototype.” A prototype is something fun that you get to tweak and design. Every time you do a day of planning revisit the prototype of what you hope your life looks like 3-years from now. I recommend having at least nine bullets that vividly describe your life. (In a future post in this series I will share my current list.) This is the second part of your “Next Chapter Goals”. Decide on no more than 4, one-year objectives (New Year’s Resolutions) you would like to accomplish in the next year. More goals than that is futile for 98% of the population. You want to win so don’t overcomplicate my recipe. If you do all four things this year, then you can consider adding more next year. All goals longer than 90-days away may be qualitative only and don’t necessarily need to be quantitative. But if goals you set in your bucket list or in your 3-year prototype or with your one-year objectives are quantitative that is okay. Just don’t obsess about a number that is too far away. Clarify one 90-day goal at a time. Get very specific about it. Don’t have more than one. All goals 90-days MUST be developed as “smart goals.” S.M.A.R.T. goals are Specific, Measurable, Actionable, Results-oriented and Time bound. You got this! Focus every day on your one 90-day goal. Set weekly and daily task list goals only after you have reviewed your other goals. While I recommend that you use a a list for weekly and daily tasks, I know many successful people who do not. But to the degree that you do set short-term goals, make sure you always review and activate steps toward your one 90-day goal before you do anything else. It’s now up to you to create a simple life plan and start dreaming about your future. Remember you need to block a good chunk of time. Why not get your calendar out right now and make it happen! If you don’t create the margin you won’t activate your imagination. Here are a few things to keep you going. First, be on the look out for a free e-book that I am about to release to help guide your life planning this year. Second, I am going on a bucket list adventure of a lifetime in the first quarter of 2019. Are you interested in learning more about life design from me? If so get ready to follow along as I will give an unprecedented amount of free content and training live from a destination soon to be announced. It’s a #LifeDesignWithMe initiative and you are invited. God wants you to design your life. That’s a bold statement. But is it too bold? Heretical even? Let’s try out the opposite claim: God wants you to make major life decisions without thinking them through. We know that can’t be right. The Bible shouts against the folly of thoughtless decision-making. There’s even a whole book about it (Proverbs). So let’s take one more crack at it. Maybe the problem is that we’re assuming that we should be making decisions at all. Maybe that’s our pride talking. Surely the most gospel-centered statement is something like this: God doesn’t want you to make decisions about your life. He wants you to receive the life he designed for you. Sounds orthodox, doesn’t it? Pious, even. We could close the service and take up the offering right there. But how does it actually work? What does it practically mean to leave everything up to God? Think of it this way: is there any hint in Scripture that the more gospel-centered your life is, the fewer decisions you make? If that were true, then the godlier you become, the more you resemble a jellyfish or a houseplant or a lamp-post or something else that doesn’t make decisions. It’s hard even to picture what life like that would be. Worse, it doesn’t match up with the model of the godliest people in the Bible, including Jesus himself. So what is God’s plan for this thing called a life plan? How do you follow Jesus and fashion your life in a proactive way? Becoming gospel-centered doesn’t mean becoming less human, but more human. It doesn’t mean making fewer decisions about your life. It means making more decisions the right way. God wants to do more than command you as a servant. He wants to raise you as his child. Our Father in heaven is training you and me to make the decisions that he would make if he were in our shoes. That is gospel-centered life design. So I’m going to reassert the claim I began with: God wants you to design your life. But I want to add a tag: God wants you to design your life after his dream for you. God’s plan for your life plan is simple: it’s all about finding your personal calling and aligning it with your daily life, especially your job. See, God has been dreaming about your life since before he created the world. In fact, he created the world with his dream of you in mind. He has a special assignment for you to do. He intended that the world he made and everything that has ever happened in it would shape the person who is reading this sentence at this very moment. Yes—you read that right. God’s dream of you is utterly unique. The proof is that you are utterly unique. God’s heart’s desire for you is that you would fully live out all that he made you to be as a one-of-a-kind reflection of his glory. He is so committed to that destiny for you that he sent his Son to die for your sins to put you back on track to get there. In the end, gospel-centered life design is about learning to be you and do you, with Christ and for Christ. But gospel-centered life design doesn’t come naturally. It is learned behavior, thoughtfully practiced over time. 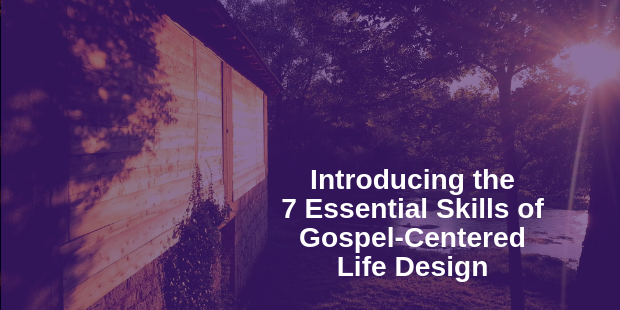 Over the next few weeks, I’m going to introduce you to the 7 Essential Skills of Gospel-Centered Life Design (The Life Design 7). These seven skills guide the work we do at Younique, a training company for the church that Dave Rhodes and I recently started. Our aim to help Christ followers gain break-thru clarity in their personal calling and vocational planning. The mission of Younique is to deliver gospel-centered life design to every believer. Skill #1 – Engage Your Vocational Vision. Embrace four lifelong practices to maximize your work potential and find your dream job. Skill #2 –Discover Your One Thing. Sum up a wealth of self-assessments with a clear and concise understanding of your special calling from God. Skill #3 – Own Your Personal Calling. Live every day from a deep sense of what you were born to do and what drives everything you do. Skill #4 – Improve Your Whole Life. Take a few simple steps right now toward vitality in all dimensions of life. Skill #5 –Imagine Your Better Future. Think further ahead to where God is leading you and define your life’s biggest wins. Skill #6 – Achieve Your Next Goal. 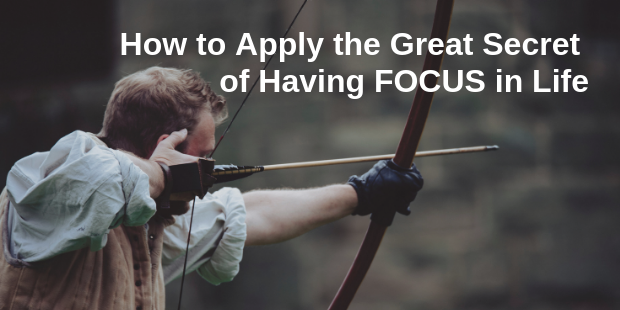 Bring laser focus to the most important next step in your life, over and over again. Skill #7 – Integrate Your Continual Break-Thru. Repeatedly reflect on your progress and reset your priorities using three universal rhythms. Cory Hartman contributed to this article. Will Your Church’s Past Become a Slingshot or a Black Hole? Are You Leading Your Church or Just Managing It? Learn the Difference. If we’re honest, it’s pretty easy to see the functional Great Commission in North America: Go into all the world and make more worship attenders, baptizing them in the name of small groups, and teaching them to volunteer a few times a month. For all kinds of reasons, the words “church” and “growth” have become embarrassing when put side by side. Yet just because the lingo of the Church Growth Movement has departed from our lips doesn’t mean that the model isn’t still firmly rooted in our hearts and minds. Though the facade of church growth has been stripped off our institutions, the bones of the house are right where they’ve always been. More than we’d like to admit, our default strategy for seeing people come to faith in Jesus begins and ends with pumping people through our priority programs. It’s the classic attractional mindset. And by the way, you can find it in every church—including those that wouldn’t be caught dead being associated with those “sell-out” attractional churches and also in those that simply aren’t attracting people very well. Not one of these “P’s” are bad. In fact, all of them are good. Like the lower story of a house, no one gets inside without going through them as the entry level. But are these all the church is for? When any of us responded to God’s call to devote our lives to serve the church, was it because we were so in love with these things? I doubt it. They weren’t enough to draw us to the bride of Christ, and they aren’t enough to keep us in love with her either. When we toil away at the work of the Lord—desperate for some sign that we’re getting somewhere and that our work is not in vain—it’s the most natural thing in the world to hunt for some proxy indicator that we’re not wasting our time. When we can count the flow of bodies through the pipelines of our program plumbing—well, we must doing something right. Right? The dirty little secret among so many pastors is that we are really good at faking disciples rather than making disciples. The quantity and quality of our programs—and our sheer busyness keeping it all going—distract us from the truth. Some pastors do recognize it, and they are so fed up with the superficiality of program jockeying that they’re ready to reject church growth altogether with all the attendance-, program-, and purpose-drivenness that comes with it. That is a mistake. While we throw out the “church growth movement” bathwater, let’s not throw out the baby as well. There truly is a line that connects the dots of growth and disciple-making. Why should we give up on church growth? Why shouldn’t it be something we’re looking after, praying after, knocking on the doors of heaven for? Why wouldn’t we want to disciple people in such a way that they are empowered and emboldened to lead people to Christ? We shouldn’t give up on growing the church as people come to faith in Jesus. Jesus says we should expect fruit (and fruit that lasts!). And, “Organized Disciple-Making” does not equate to the programs you’re running—or, for that matter, to the programs the “bigger and better” church down the street or the one across the country is running. See, if you’re not doing organized disciple-making, my guess is that you’re doing programmatic education in the name of Jesus. But chances are, it’s “untransformational Christian education.” It may be well-executed and it might look good on Facebook or Instagram, but it’s probably not growing your church, nor is it really growing your people. When I talk to pastors, I’m not interested in a church’s programs to mass-manufacture the raised-religious. I want to hear about their organized disciple-making process. I’m talking about how a church sets up a simple system that helps disciples of Jesus make brand-new disciples, who in turn make still more. Real church growth. What if that became the new normal in the North American church? >> Connect with an Auxano Navigator to learn more getting a visionary plan for real church growth.